Clayton D. Lockett reacted “violently” to an untested combination of drugs Tuesday before succumbing to a heart attack. An Oklahoma inmate died of a heart attack Tuesday shortly after a botched execution using an untested combination of lethal injection drugs caused him to writhe and gasp, leading officials to postpone a second execution scheduled for the night. Clayton D. Lockett, 38, reacted “violently” to the drugs after he was already declared unconscious, “kicking and grimacing” before officials lowered the chamber’s viewing room blinds and halted the execution, according to Tulsa World reporter Ziva Branstetter, who witnessed the process. Lockett was pronounced dead at 7:06 pm of a heart attack, forty-three minutes after the execution began. “His vein exploded,” said Oklahoma Department of Corrections Director Robert Patton, in a statement to reporters. Patton explained that it could not be determined how much of the drugs in the three-drug procedure made it into Lockett’s body. The combination had never before been used in an Oklahoma execution. Oklahoma is one of several states with statutes protecting the anonymity of lethal drug suppliers. Lockett and Warner had both filed appeals to compel the state to reveal its drug source. 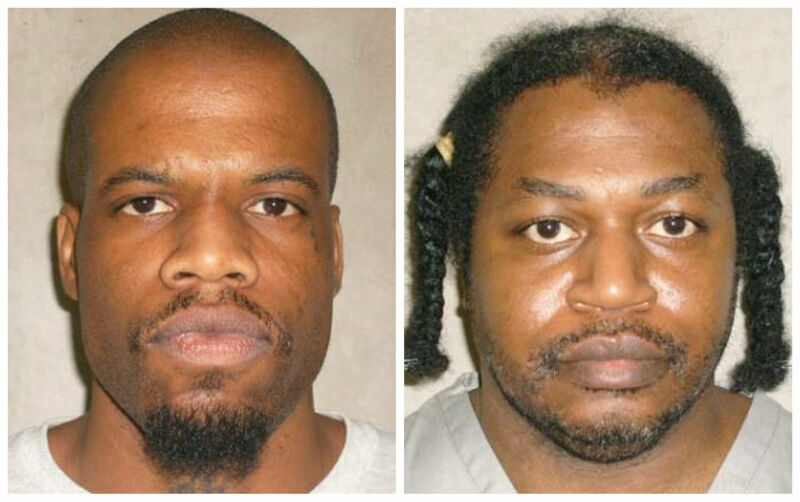 The state’s Supreme Court granted an indefinite stay of execution last Monday for the two condemned men, pending review of the law. The next day, Governor Fallin issued an executive order saying the state would defy the high court’s ruling and proceed with the executions anyway. And the day after, the state Supreme Court declared the secrecy statute constitutional, overturning a district court ruling, and lifted the stay execution it had granted just two days prior. Cohen and other attorneys have called for a third-party investigation of Lockett’s death. “In Oklahoma’s haste to conduct a science experiment on two men behind a veil of secrecy, our state has disgraced itself before the nation and the world,” said Ryan Kiesel, executive director of the American Civil Liberties Union of Oklahoma, in a statement.